For starters, I know that if the project is not my idea or style, I will procrastinate until the last possible second to get it done. Also I cannot copy someone else’s idea. That just doesn’t work for me. Every time I try to copy something, I end up with a failed project. What works better for me is to get an idea of what someone wants- through several different pictures, color, and styles options and then use those ideas to produce something that represents my own idea. I just cannot take myself out of the design process completely. I guess it’s how my brain functions. Case in point. I was shown a picture of an apron and asked if I could make one similar. Sure, I say- no big deal, right? Wrong. Using a small picture and attempting to replicate it resulted in a disastrously ugly end result. Upon conversing with my husband about my frustration with what should be a simple project, he told me to put myself back in the equation and make it my way. 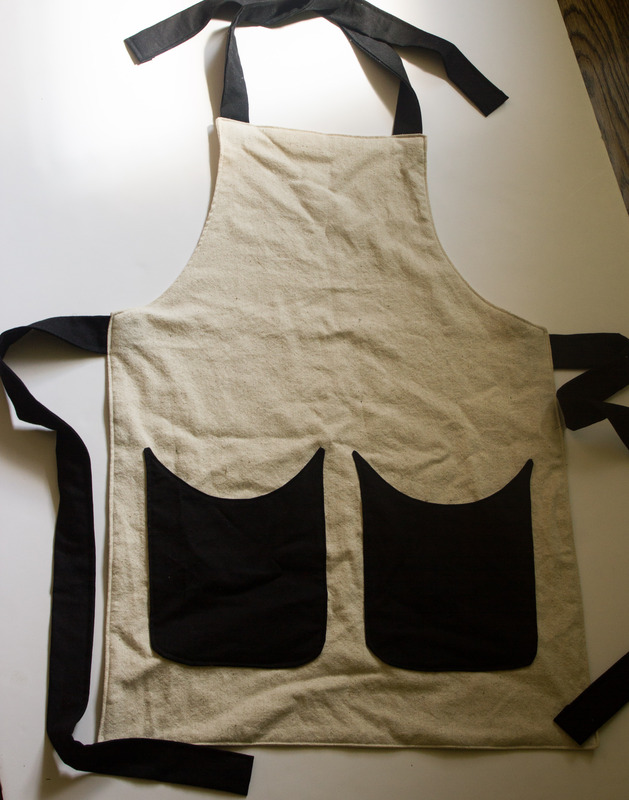 So I took a step back, looked at key style elements of this apron, and tried again- making it my own this time. End result- super cute apron that was loved by the recipient. Now maybe I totally over-think things and this is a silly topic which no one is interested in discussing. But since this is something I keep facing I thought I would bring it up on the off chance someone else has something to offer… Any thoughts? (PS) I’m not referring to copying other’s work and selling it as your own. I realize in no instance is that ever ethical or appropriate. This entry was posted in Personal and tagged diy apron, sewing style by oliver's fancy. Bookmark the permalink. I agree that it hard to remake something. I also find it hard to simply make the same thing twice, I need to change up the pattern, use different fabrics or else I just get bored and don’t want to do it.